But members of the North Planning Committee yesterday deferred a final decision as campaigners unveiled new details in a dramatic 11th-hour move. Now, the Scottish Environment Protection Agency (Sepa) must consider new details on hydrology submitted by opposition group Not Coul. East Sutherland and Edderton councillor Jim McGilivray, who lives in Embo, said the unanimous approval was “re-assuring” and that it was a “significant step forward” for the plans. 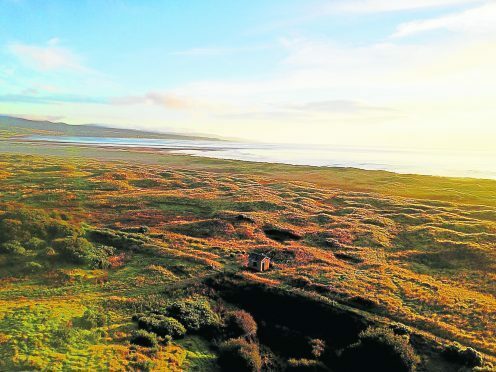 Highland Council planner Gillian Webster, although acknowledging the economic benefits, recommended councillors refuse planning permission based on an objection by Scottish Natural Heritage (SNH) which says there would be a 7% impact on sand dune habitat in a site of special scientific interest (SSSI). But during yesterday’s debate at the local authority’s headquarters in Inverness, East Sutherland and Edderton councillor Richard Gale said: “Where there has been a problem, mitigation has always been offered (by the applicant). North, west and central Sutherland councillor Kirsteen Currie said the choice is between keeping the “status quo” of a site which has lacked management for decades, or making use of it in a way which could also bring economic benefits, even if job numbers and the spin-off boost for hotels and bars are less than predicted. Committee chairwoman Maxine Smith said she was leaning “towards the granting of this application,” and when she asked the committee for any motion to refuse, no members responded. Following yesterday’s meeting US businessman Todd Warnock, one of the project developers, said: “This is a highly significant milestone in this project. We think there has been a fair and thorough assessment of the plans. Aedán Smith, Head of Planning and Development at RSPB Scotland said: “We are extremely disappointed that the Highland Council appear to be minded to give permission for this very damaging development, despite it being clearly contrary to the Highland Council’s own development plan policies to protect the natural environment.